In order to ensure the follow up of the recommandations of the restraint Ministerial committee related to the second phase of the project of developing the northern coasts of the city of Sfax, held on January 18, 2016 ; a meeting took place on Friday, febrary 2, 2018. 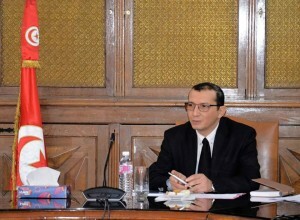 Mr Khaled DRIDI, cheif of staff of the Minister, chaired the meeting, on behalf of Mr Mohamed Salah ARFAOUI Minister of Equipment, Housing and territorial Dévelopment. The attendance included the general secretary of the governorate of Sfax , the Chief Executer officer of the company and representatives of the ministers and organisms involved in the project. The stakeholders monitored and discussed the progress related to the implementation of the recommendations. They were urged to act towards overcoming the obstacles that impede the full realization of a number of commitments in best delays, in order to foster the launching of the project.